Check out Cabela’s Cyber Monday 2018 Sale, valid Monday, November 26 only. 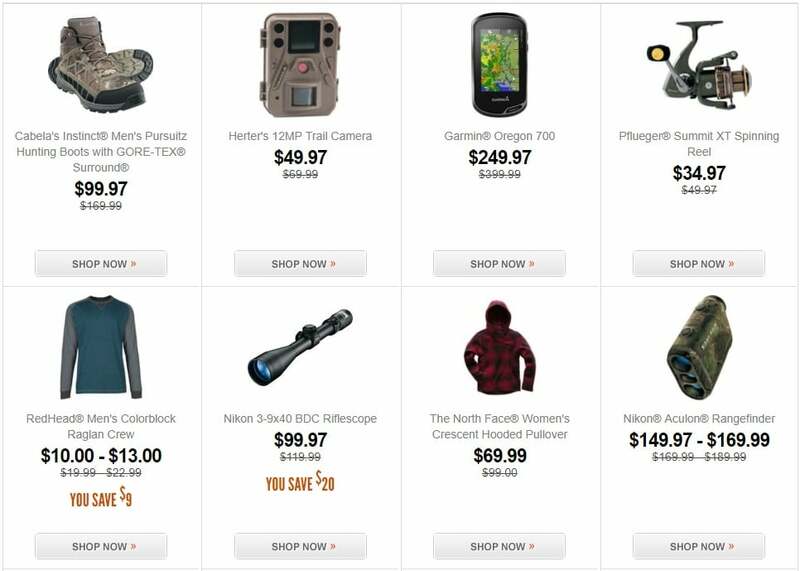 Save with this year Cabela’s Cyber Monday deals on: Cabela’s Instinct Men’s Pursuitz Hunting Boots with GORE-TEX Surround, Herter’s 12MP Trail Camera, Garmin Oregon 700, Pflueger Summit XT Spinning Reel, Nikon Aculon Rangefinder, The North Face Women’s Crescent Hooded Pullover, RedHead Men’s Colorblock Raglan Crew, Masterbuilt Adventure Series MES 130B Digital Electric Smoker, Mr. Heater Little Buddy Heater, Bass Pro Shops Stainless Steel Fish Fryer, Cabela’s Roughneck Men’s Upland Jeans – Regular and more. 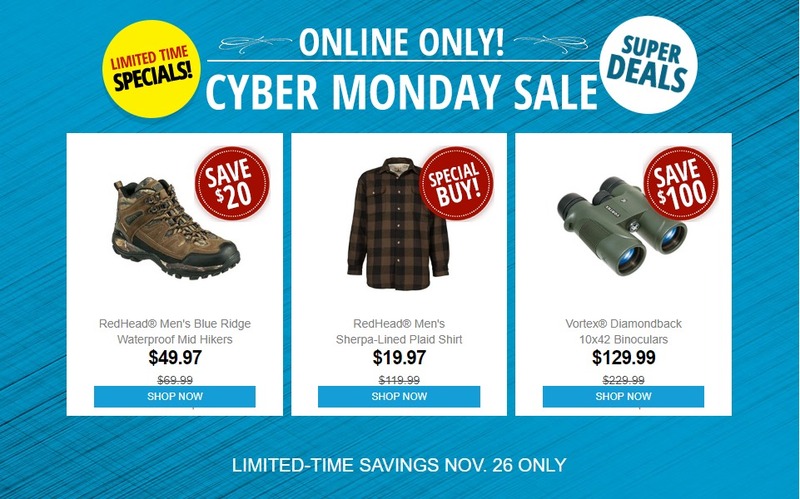 Don’t forget to check this year Cabela’s Cyber Monday deals before heading out to shop.